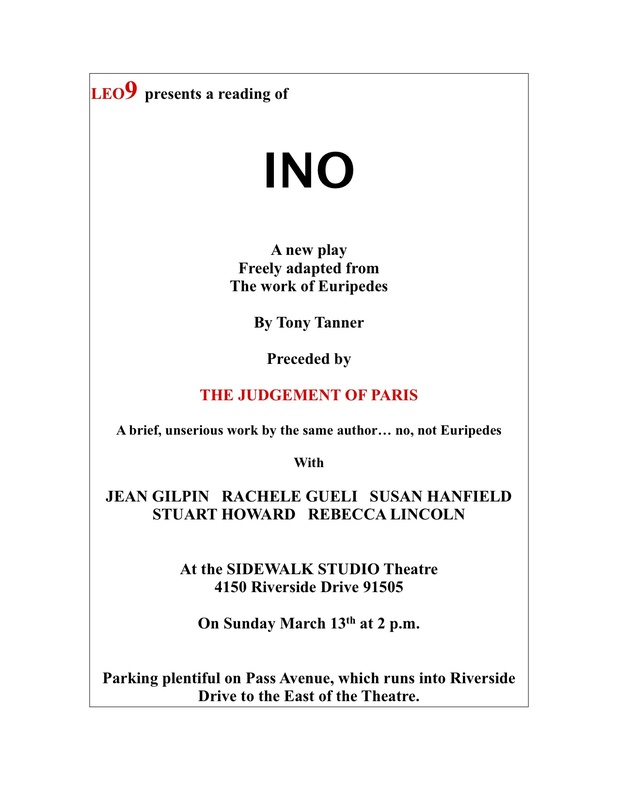 A Reading of INO and The Judgement of Paris – Today at 2pm! Today at 2pm at the Sidewalk Studio Theatre in Burbank! Two readings, two wonderful new plays written by the incredibly talented, Tony Tanner. I’ll be in the second play INO, playing INO herself, alongside a fantastic cast! Please join us for both. This entry was posted in Actor, News, Press. Bookmark the permalink.